Hertha Berlin will be determined to get back to winning ways as they entertain slow starters Hamburger SV at the Olympiastadion on Saturday (kick-off 15:30 CEST / 13:30 GMT). After a perfect start to the new Bundesliga campaign, with three wins from three, Hertha were stopped in their tracks by the FC Bayern München juggernaut last weekend. Three days later, they were minutes away from a dramatic victory at Eintracht Frankfurt, only to be denied by Michael Hector’s injury-time equaliser. The Old Lady are now keen to ensure they don’t go three games without a win, as they look to maintain their 100 per cent start on home soil. Saturday’s 1-0 defeat to Bayern was the final straw for Hamburg, who relieved coach Bruno Labbadia of his duties the following morning. Within 24 hours, they had found his replacement – former TSG 1899 Hoffenheim coach Markus Gisdol – who will be charged with the task of steadying the ship and dragging the Red Shorts away from the bottom of the Bundesliga. 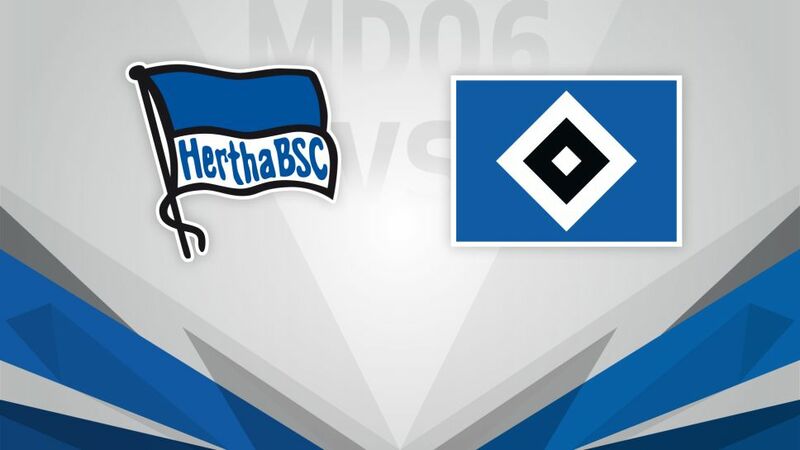 So far, HSV have picked up just a single point in five outings, but they’ll be hoping that the Gisdol effect can inspire them to a much-needed victory in Berlin. Hamburg have picked up just one point in five matches, which is the lowest points total in the club’s history at this point in the season.In five matches this season, Hamburg have only managed six shots on target.Hamburg have conceded ten goals, and they have all been scored after the 66th minute.This is Hertha'ss second best start in Bundesliga history (W3 D1 L1).Hertha are the most clinical team in the league. On average, they have scored a goal for every four shots they’ve taken.Vedad Ibisevic has scored three of Hertha’s nine goals in the Bundesliga so far.